The ‘Invisible Republic’ team will chronicle the early adventures of Hal Jordan as part of DC’s graphic novel line. DC Comics has recruited the all-star team of Corinna Bechko and Gabriel Hardman to bring Hal Jordan into their Earth One line of graphic novels. Green Lantern Earth One is scheduled to arrive in March 2018. Bechko and Hardman are the team behind Image’s Invisible Republic, a science fiction epic that was nominated for a Hugo Award in 2016 — so they’re a perfect fit for a project like this. 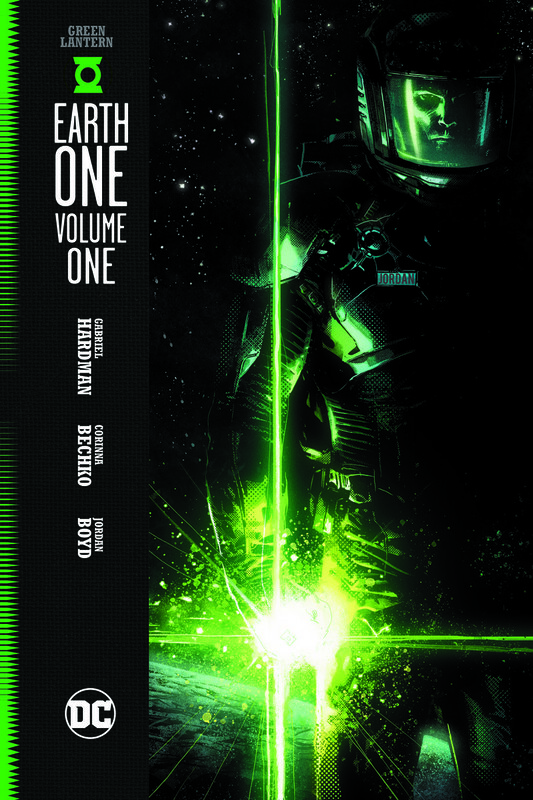 Green Lantern Earth One follows similar titles in the line, which re-imagines DC’s characters in a separate continuity in the early stages of their careers. The line kicked off in 2010 with Superman Earth One, which has seen three volumes now, and was followed by Batman, Teen Titans and Wonder Woman. Aquaman and Flash graphic novels are also in the works.